I was so relieved upon commencing reading Pemberley Manor to realize quickly that Nelson “gets it.” She can write in a Regency style that does not sound forced, stilted, or altogether ridiculous, as is the case with some other writers of historical fiction. Her prose is smooth and her tone is confident, much like Austen’s. This was a great relief, as bad writing can mar even the most intriguing plot. Conversely, good writing may buoy your readers along even when they disagree with your plot choices. Nelson knows her audience. It is not the purists who prefer not to think beyond the happily ever after. The audience for this book is open-minded readers who love Austen’s creations, but recognize that real life and real people are necessarily more complex than the world of Austen’s novels. This book is for those who think maybe Jane and Bingley are too perfect, that Darcy and Lizzy became engaged too quickly, and who wonder what might happen after the weddings. In the reserved Regency society, where emotions may not have been so easily expressed or scandals so readily discussed as they are today, two people of unequal birth attempting to have an egalitarian marriage would certainly have faced great challenges. Nelson’s creations are based on the novel, inspired heavily by the BBC film adaptation, and also augmented by a healthy dose of reality. She explores their psyches, motivations, desires, and fears from modern perspective, but weaves her concepts neatly into the Regency time period and writing style. Purists may shudder at some of her choices, especially regarding Darcy’s darker nature. However, I think if one stops to contemplate for a minute, one sees that she has added depth, complexity, and indeed humanity, to characters that have for the most part been revered as larger (and better) than life. If Lizzy and Darcy were real flesh-and-blood people, imperfect people, living within the social and sexual confines of Regency society, what sort of problems would they face in their marriage? That is the thought experiment Nelson’s sequel invites us to embark upon. If it intrigues you, then you will enjoy this smoothly written and carefully thought-out novel. This sequel takes us from the dual wedding, through the Darcy’s honeymoon and early months of marriage. They discover unanticipated range and depth of emotions within each other, and weather quite a number of shocks and trials that threaten to undermine their relationship. Along the way, they also confront some of the enemies who disapproved of their union, as well as less tangible demons from Darcy’s unusual childhood. If you prefer the haughty, enigmatic, and polished Darcy of the novel, you may be in for a shock. This Darcy is haunted, conflicted, and ultimately much more emotional than you may expect. I truly enjoyed Nelson’s continuation of Lizzy. 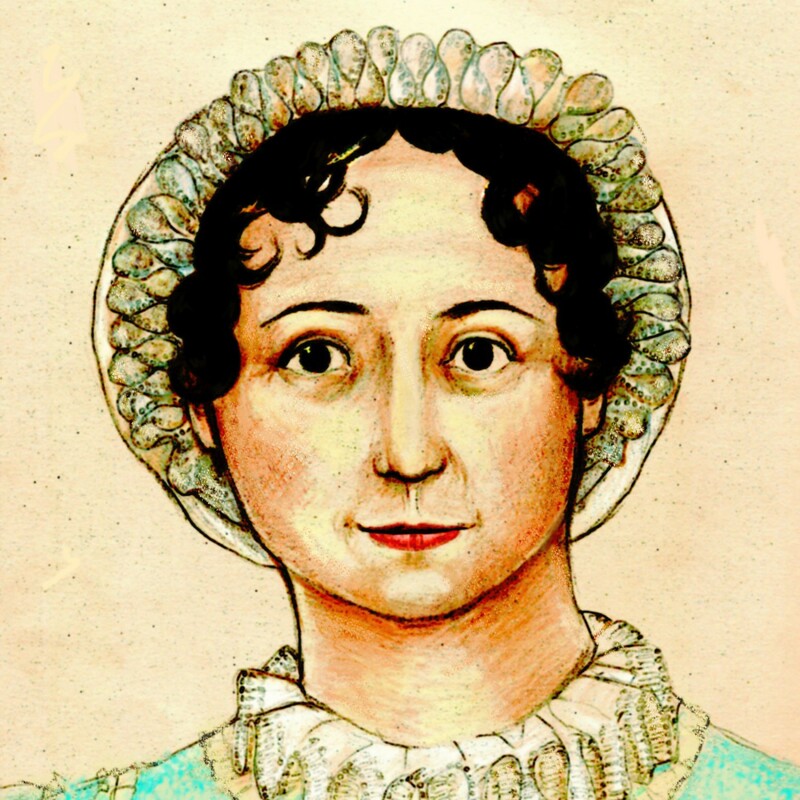 I think her strength, grace, and humor were perfectly in line with Austen’s creation. The influence of Jennifer Ehle’s performance is clear too, in Lizzy’s zest for life and laughter and her constant “bemused smile.” It is on Lizzy’s strength that much of the plot rests, and Nelson’s achievement with her makes the novel a success. Throughout this story, we have many opportunities to cheer for Lizzy, whether she is supporting her loved ones or taking down an enemy with her ample, but never malicious, wit. A carriage ride scene featuring the Mr. and Mrs. Darcy and Caroline Bingley is wonderfully done. Nelson also writes very good witty dialogue between Darcy and Lizzy, showing the intellectual dimension of their love forone another, as well as the equality between them. Nelson fleshes out some supporting characters from the original – Caroline Bingley and Georgiana Darcy both get a lot of page time and added complexity and depth. On the other hand, Col. Fitzwilliam and the Gardiners have all but disappeared. The new supporting characters that Nelson adds do not stand out so clearly as the principals. Trevor Handley and the Alexanders are somewhat similar to, but less memorable than, some of Austen’s own creations. Thomas Hill, however leaps off the page with his fresh dialogue and was a worthwhile addition to Pemberley. At 375+ pages, and encompassing a veritable rollercoaster of emotions for both its character and readers, I do think this work is a bit long. The suspense of the family secrets could have been rather less drawn out, and a couple of tearful scenes could have been consolidated. Overall though, I enjoyed the relatively steady pace of the novel. The much-anticipated Christmas visit toLongbourn was the only part that felt strangely rushed. The reader is told, more than shown, how well Darcy managed to get along with the Bennets. This is unfortunate, because I think Nelson could have written some great dialogue between Darcy and the Bennet women. On the whole I enjoyed this sequel and looked forward to seeing what twists and turns Nelson would throw into the plot next. Nelson set herself up for quite a challenge, but she carries it off quite well. She has a great love for Austen’s creations and has put a good deal of thought into how to further their story. She has taken Darcy and Lizzy off their pedestals and out for a turn in the real world, and they have not suffered materially for it. In fact, I believe it we as readers who have gained.